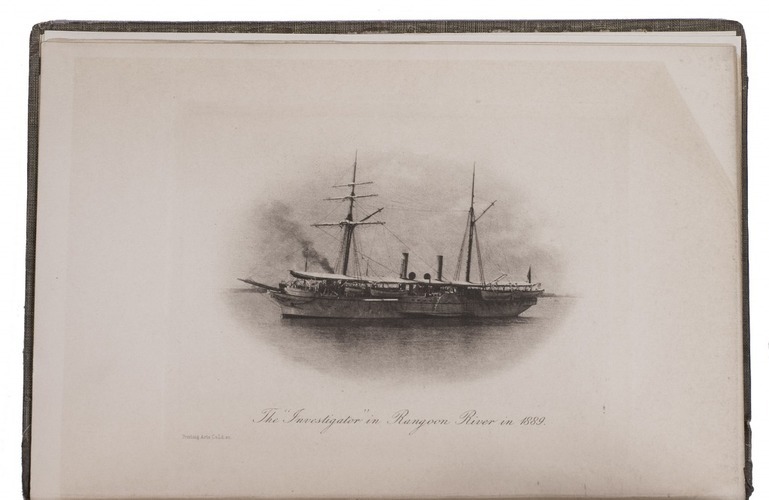 A naturalist in Indian seas or, four years with the Royal Indian marine survey ship "Investigator". 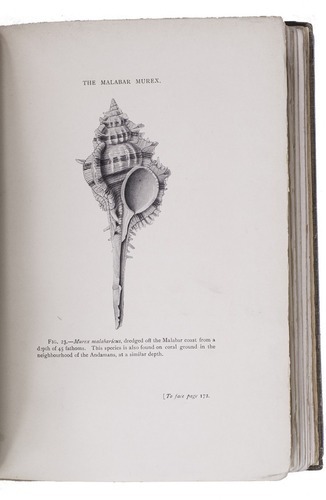 London, John Murray (colophon: printed by Oliver and Boyd, Edinburgh), 1902. 8vo. 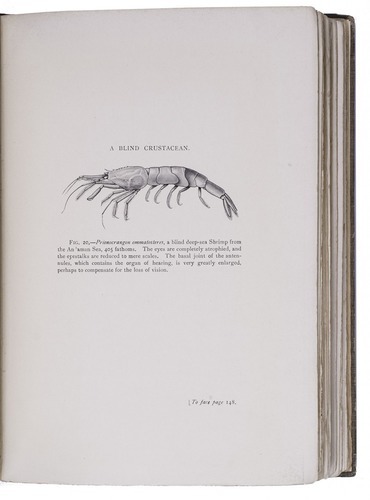 With a photogravure frontispiece depicting the Investigator, a folding map and 98 illustrations on 58 plates. 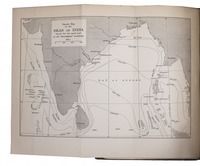 Contemporary black-blocked cloth; rebacked with brown board, modern endpapers. 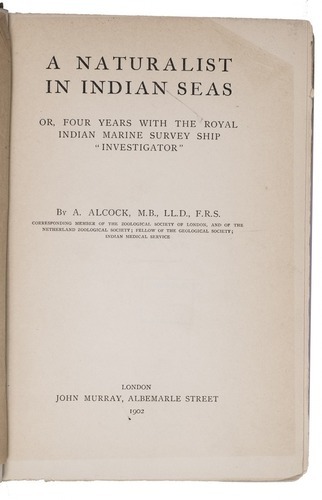 First edition of the best-known work of the British physician and naturalist Alfred William Alcock (1859-1933), describing the voyages of the Royal Indian Marine survey ship the Investigator. 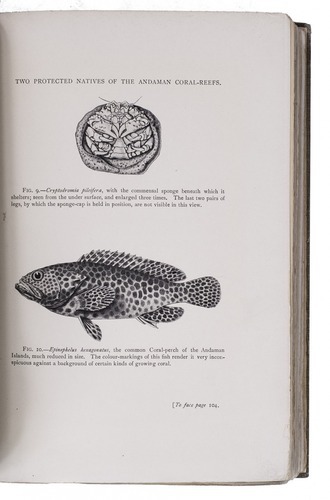 The book is divided into three parts. 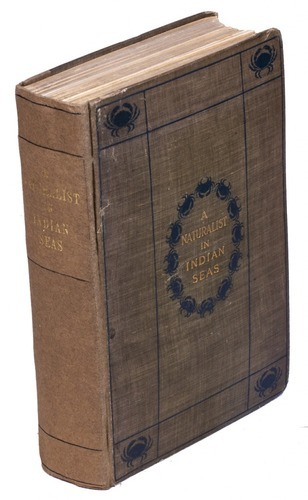 The first can be seen as an introduction to marine surveys of the waters around India, describing the seas, sea beds, tides, currents, coral reefs, coasts, islands etc. and Alcock's own experiences on board. 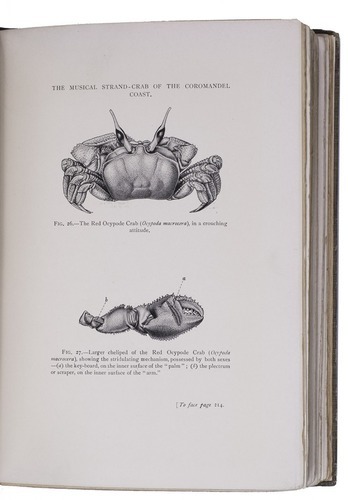 The second part covers the deep-sea fauna of the Indian Ocean, including fish, crustaceans, molluscs, echinoderms and sponges, many of which are shown on the plates. 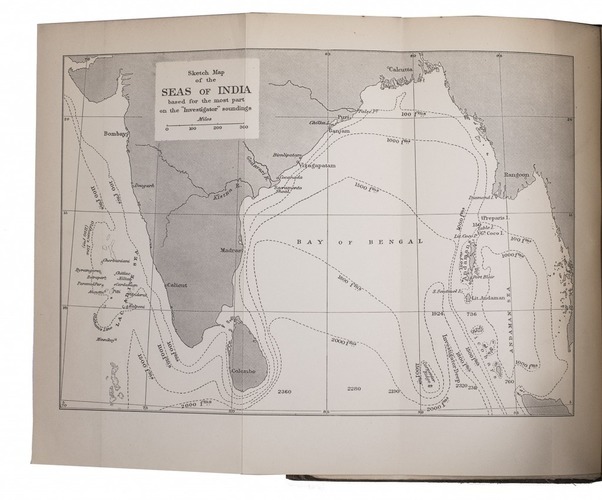 The last part contains the appendices, containing lists of dredging stations and a bibliography. Slightly browned, otherwise in very good condition. Binding only slightly rubbed. 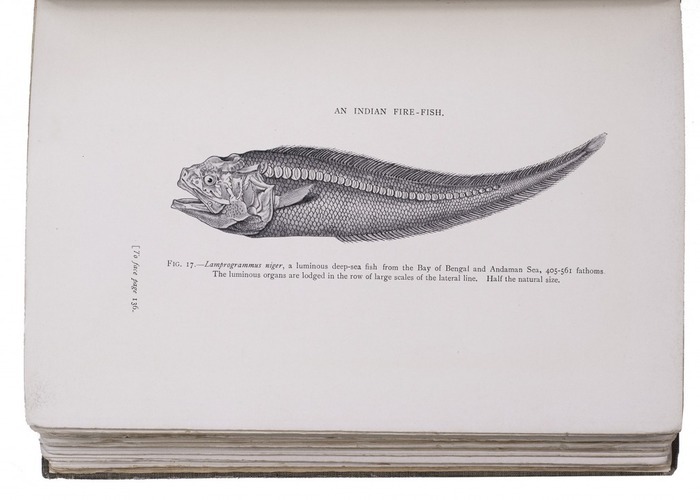 Dean I, p. 18; A.S. Troelstra, Bibliography of natural history travel narratives, pp. 34-35.